The AMI QT Devotionals from December 2-9 are written by Andy Kim. Andy, a graduate of Northwestern University and Fuller Theological Seminary (M.Div.) currently serves as a staff at Radiance Christian Church in San Francisco. Andy is married to Jane who is a pharmacist. 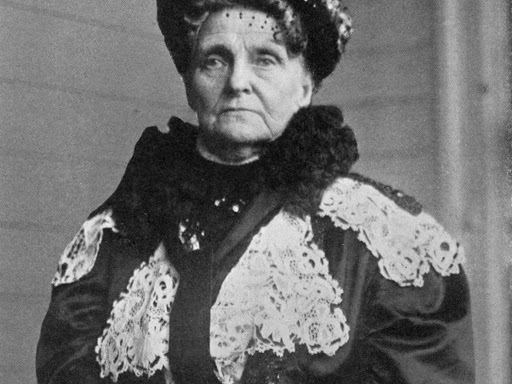 Henrietta ‘Hetty’ Green was an American businesswoman who pioneered the way for women on Wall Street. Earning her name as the “Witch of Wall Street,” Hetty was not only known for her investment strategies, but also her frugal and miserable living habits. Rumors have it that she moved from rundown house to another to avoid taxes; ate cold oatmeal to not pay for hot water; and drank disease prone skim milk over the more expensive whole milk. Once her son injured his leg in an accident and she delayed treatment in search of a free clinic. This resulted in having her son’s leg amputated. Some even claim her penny-pinching habits caused her own death. But here’s the irony of it all: she died as the wealthiest woman in history with a $100 million to her name, equal to over $2.5 billion today! What a sad and ridiculous way to live! And it’s precisely this type of living Paul warns the believers against. More often than not, we tend to live more out of what we don’t have, than what we do have. We say things like, “If I had this, then I’d be able to…” or “It’s because I’m not this, I am this way.” Sadly, we have everything at our fingertips, yet we find ourselves miserable and empty. These are the lies of this world and Paul paints a completely different picture for believers in Christ. He says that as believers we have been blessed with every spiritual blessing and lavished with all the riches of His grace. These are blessings entirely independent of us or even our circumstances, for they are blessings unconditionally given to us through Christ. Brothers and sisters, we have more in our accounts than we could ever imagine! The most regrettable part of Hetty’s life was that she constantly lived in fear and anxiety, never being able to fully enjoy life. May our lives not be marked by such fear and anxiety, but may our lives be marked by the unending grace we find in Him. For in Christ we have more than we could possibly ask for—both a fullness and joy found only in Him. Prayer: Father, we bless Your name, my soul blesses Your name. Thank You for all the blessings You have graciously poured over my life. Jesus, help me to remember I have been given everything I need in You. May I live out of Your abundance. Amen. Read Romans 8:14-17: For all who are led by the Spirit of God are sons of God. 15 For you did not receive the spirit of slavery to fall back into fear, but you have received the Spirit of adoption as sons, by whom we cry, “Abba! Father!” 16 The Spirit himself bears witness with our spirit that we are children of God, 17 and if children, then heirs—heirs of God and fellow heirs with Christ, provided we suffer with him in order that we may also be glorified with him. Who is a child of God? What are the blessings of His adoption? What is the difference between the spirit of slavery and the spirit of adoption we have received? How does receiving the spirit of adoption change our relationship with Him? How does Paul address suffering? What is the relationship between our adoption and suffering? Sonship to God is not a universal status to everyone. John 1:12 says, “But to all who did receive him, who believed in his name, he gave the right to become children of God.” To be His child is a right given to us by the Father and to those who are led by His Spirit. As children, we have an intimate access before Him and an inheritance assured to us. A spirit of slavery is driven by fear. However, the spirit of adoption affords us the privilege of crying out to Him as father. The word “Abba” is an Aramaic term modernly translated as “daddy.” In other words, our adoption affords us intimacy, access, and a relationship with the Father. Suffering is a mark of our sonship with the Father in this world. But this suffering points to a glory awaiting us as heirs of God. The glorious riches available to Christ have also been available to us provided we suffer well. Have you ever seen a toddler fall or lose something, and their first instinct is to cry out for his mommy or daddy? Even if somebody would assure him that nothing was wrong, the only thing that can comfort him is the presence of his mommy or daddy. It’s this primal instinct that captures this cry of “Abba” Father. Take a few moments to reflect on this idea of crying out to God as “daddy.” What emotions or feelings come up? In the same way, may we learn to cry out to Him, believing that in times of need only He can comfort us. Spend a few moments reflecting on this truth. Remember, as His children, we may approach Him in full confidence as our Father. In all things, may we turn to Him first.